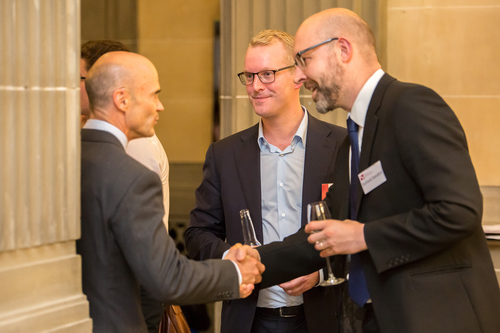 Last week we hosted our inaugural Strategy Conference and Networking Event title ‘Leadership in Uncertain and Turbulent Times’. 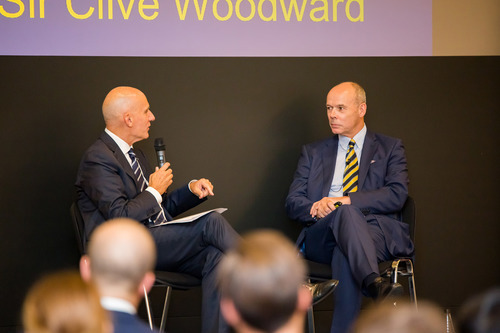 The evening was a great success, with Sir Clive Woodward and Jeff Grout giving an excellent talk on the topic of Leadership. I wanted to share with you the notes and key points from the discussion. Jeff is a successful business consultant specialising in people and performance and has written widely on leadership, careers, peak performance, recruitment and retention issues. 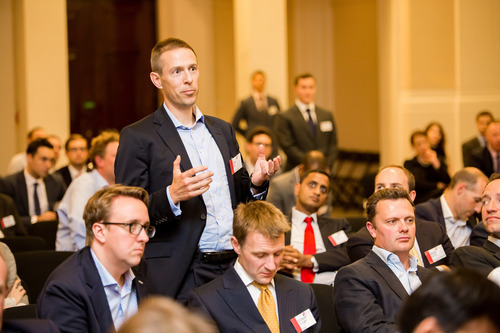 Formerly UK Managing Director of an International Recruitment Consultancy, he holds a number of corporate advisory and executive coaching appointments and is also a successful business author. 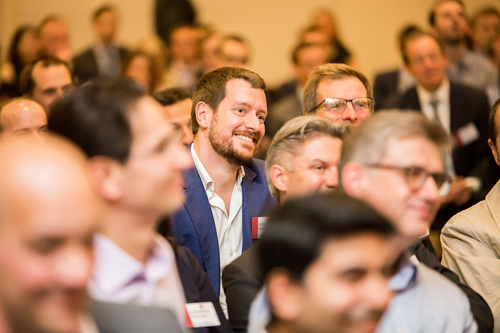 Jeff kicked off the evening by highlighting that with uncertain times ahead, leadership is very important across any business, any industry and how important it is to find a common purpose or ‘followship’ within a team for the best results. Jim Collins, the author of the hugely successful book on Leadership called ‘Built to Last’, says “Great Performance is about 1% vision and 99% alignment’. But how can you measure followship? To answer this, Jeff has designed an interview tool called the T-test where you interview horizontally across the senior members of the business and vertically down the ‘spine’ of the business. He has conducted the T-test across many organisations and his questions cover multiple topics including communication. He noted that the answers are usually very different between the employees and the senior management team with regards to the quality of communication in the business. 1. What is the overall company objective? 2. What are the immediate business priorities? 3. What are you doing to contribute towards these priorities? 4. How could you contribute more to the company? 5. How could your colleagues contribute more? 6. How is the company doing? 7. How could the company do better? 8. What is good about the company? 9. What needs to be addressed? 10. What gets in the way of progress? 11. How good is communication within the company? 12. What is morale currently like within the company? 13. What can be done to create a high performance environment? The best form of motivation is communication. You cannot motivate without communication and it was FD Roosevelt who said that “It’s a terrible thing to look over your shoulder when you are trying to lead and to find no one there”. 1. Do I know what is expected of me? 2. Do I have the resources I need do my work right? 3. Do I have the opportunity to do what I do best every day? 5. Does my supervisor seem to care about me as a person? 6. Does my supervisor encourage my development? 7. Do my opinions seem to count? 8. 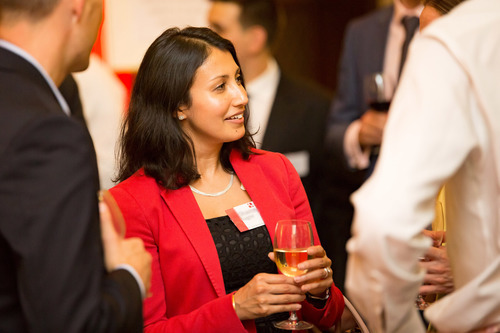 Does the mission/purpose of my organisation make me feel my job is important? 9. Are my colleagues committed to doing high quality work? 11. In the last six months has my supervisor talked to me about my progress? 12. In the last year have I had opportunities to learn and grow? The leader’s job is to develop and maintain a high performing team. Leadership is the process by which a person sets a purpose for other persons and motivates them to pursue it with effectiveness and full commitment. Leadership transforms individual potential into collective performance and is a necessary skill for anyone who manages. Leadership is the way in which a manager manages. asked you to imagine there was a fire drill, everyone is outside waiting to go back in to the building. Who would you re-recruit today if you had the choice? to that success than his having played for England and the British and Irish Lions when he was a younger man. Jeff asked Sir Clive a string of questions during which he confirmed that when you are a coach you are being consistently scrutinised and that knowledge of whether you are a ‘sponge’ or a ‘rock’ is essential. It is key to be a sponge, someone who is willing to take on information. A successful person is someone who is willing to be constantly learning. Sir Clive then talked about ‘Teamship’ (not to be confused with teamwork) which is a culture whereby everyone in the team contributes. Everyone in the team needs to be a ‘sponge’ so that you can all learn from each other. The key thing about ‘Teamship’ is that everyone needs to agree on the direction and purpose of the team as, without that, the team will not progress - this is the key to a high-performing team. The coach or leader must work in partnership with the rest of the team and ensure that everyone is involved. If there are members that are not willing to get involved, they should be removed from the environment. Any extreme personalities in the team need to be included as if they do not contribute, they will alienate themselves and this ‘Teamship’ will no longer exist. 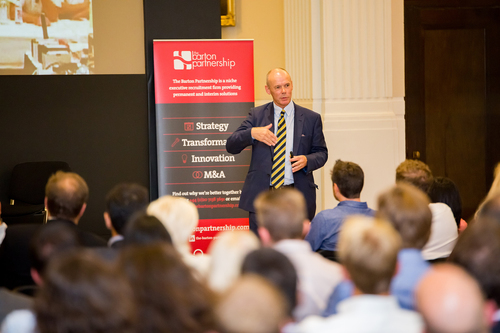 Sir Clive then shared two secrets to his success as a leader; First his formula for the best results – Why, What, How and How Well. You cannot coach or lead without this formula and unless you know the exact answers to those questions you cannot plan for success. Secondly, TCUP (Thinking Correctly Under Pressure), is a key ingredient in any high-performing team. How you handle pressure is critical, especially in a sporting situation when life changing decisions need to be made in a matter of seconds. When Sir Clive used to hold meetings with his rugby squad, he would often stop the meeting, choose a player and give them a scenario, eg. 5 mins on the clock, 2 points between the teams, ‘what do you do?’. This would prepare the team to enable them to make correct decisions under pressure. It’s so vital to prepare your teams for high pressure situations. Often people do not talk about the possibility of failure but it is important to so that you know what to do if you are losing. Sir Clive also highlighted that the ‘winning formula’ will never be the same; technology, for example, is a modern day advantage to us all. Technology gives us a platform to store knowledge that we can use to effectively lead by having the right tools and equipment on us at all times. Throughout Sir Clive’s career, he has been exposed to the difference in team culture between rugby and football. The difference is staggering, rugby is all about teamship (contribution to the strategy from all players) whereas often in football changing rooms, the coach will be talking at the players and will tell them exactly what they need to do. There is often a lack of ‘Teamship’ in these situations. He concluded his talk by saying that team culture is critical but it is second to selection as you must ensure you have the right players first before you can begin to create a strong team culture. This is something we at The Barton Partnership totally agree with! 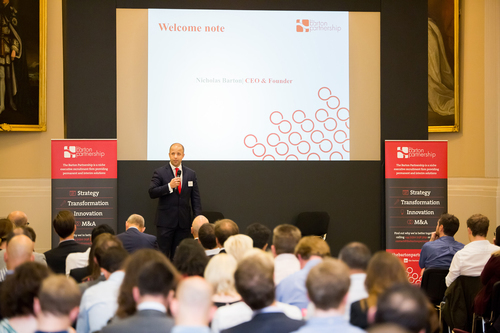 We very much look forward to seeing you at our 10-year anniversary Strategy Conference and Network Event in 2017. In the meantime, if there is anything we can do to assist you with your hiring needs or even add value to your own career planning thought process, then please don’t hesitate to get in touch with myself or one of the team.